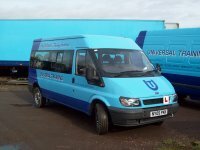 This is our FORD MINI BUS that we use for all our CLASS D1 pupils. This bus has 15 seats in all including the driver and used to be rated at 3.5 tonne. We had this bus uprated to 4 tonnes for the test which is the only one around. It has special air bags underneath it made in Germany. 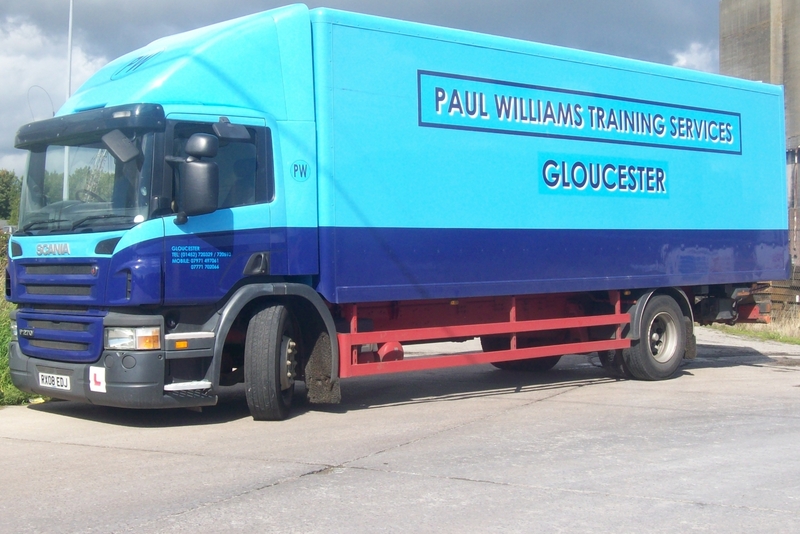 It has a tachograph fitted for test also. The inside of the MINI BUS has seat belts for all seats and all seats face forward. There is a FIRE EXTINGUISHER and FIRST AID BOX inside for the test. It has a 5 speed gear box and mirrors fitted for the examiner to see down both sides. With side and rear emergency doors its a nice bus to drive and also to teach on. You need to make sure to have the PROVISIONAL D1 on your green paper part of your licence which was given free pre 1997. If you do not have this entitlement then telephone us and we will send you the FORMS BY POST. As part of your course you will also take a CPC DEMONSTRATION TEST in the Test station with the examiner. It can be taken afterwards but you need the bus for this 30 minute DEMO. Then the driving test on the road will be on the last day of your course. 1hour and 15 minutes approx. If you are not sure on what you need to do JUST PHONE US and we can help you. WE ALSO DO D1+E LICENCE IF YOU WANT TO TOW A TRAILER BEHIND YOUR MINI BUS.